It seems that the thing from which I derive most pleasure and satisfaction is the first thing to fall by the wayside when life gets hectic. Lots on at work, pressing matters at home, illness and poor weather have all contributed to a suspension of my wildlife photography for a few weeks. Things settled down this week and I took the opportunity to get out again with the camera to record some of the regular birds on my Patch. At last the rain held off and the sun shone long enough to get some reasonable images. 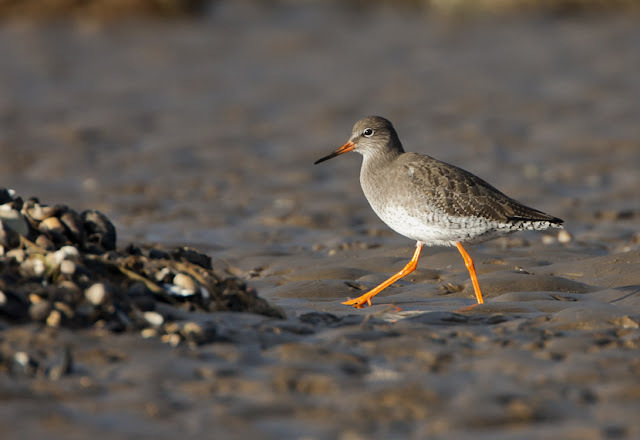 The Redshank striding around the mussel beds at Thurstaston was my favourite image of a day spent drifting around the Patch with not much of a plan other than enjoying it and its wildlife. Just looking, thinking random thoughts, noticing things etc. Being back out was great. I go on foot, my Super Deluxe pushbike was left at home - I wanted to feel the Patch beneath my feet. Soon I'm feeling right at home. I can see clouds, one has the shape of a watering can. My hands feel cold. There is some mud on the ankle of my jeans. A thrown away carrier bag caught in the hedge ripples as the wind eddies. This is the stuff I've been missing. And the birds too, so I wander down to the shore where I meet up with my pal Johnny. He's finished college for the festive period and he's kicking about the Patch too. We have a good chinwag and take a few pictures of what's around. The tide is way out, many birds are feeding on its still receeding edge. Too distant for any pictures. 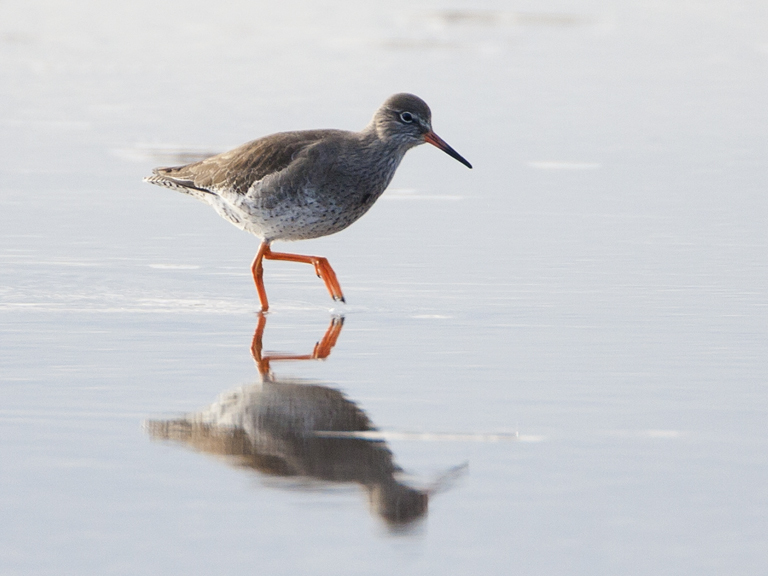 There are some pools close in and there are a few birds mooching about there. 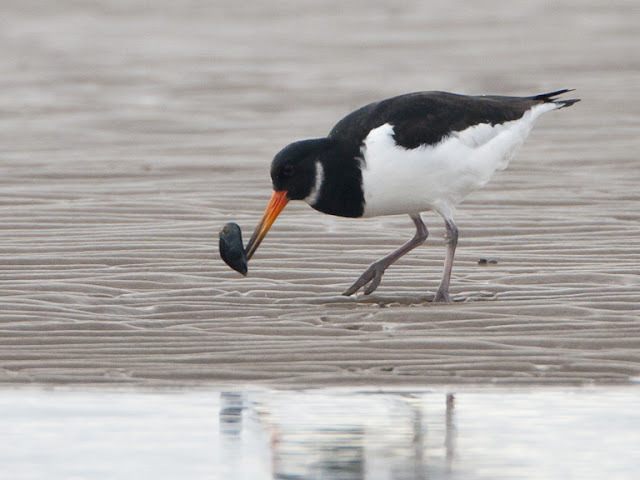 I get some Oystercatcher pictures. 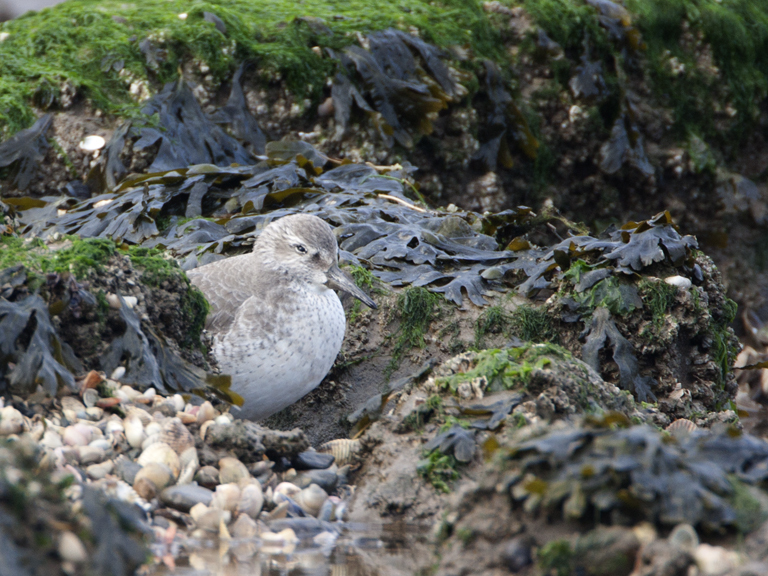 Johnny captures some Turnstones on his 550D. Time is slipping by, my left foot is wet. A plane comes in to land at Liverpool airport. A Curlew calls. 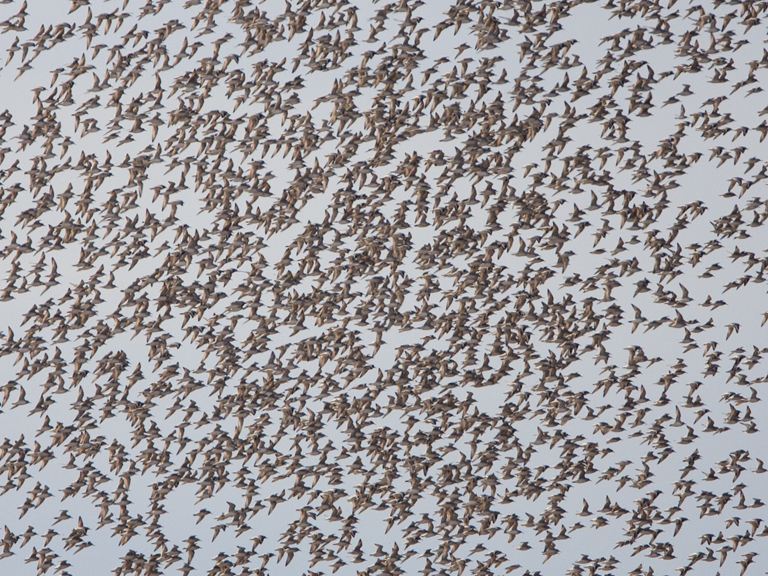 The Knot feeding at the edge of the tide are startled into action. A Peregrine is after them. Shapes are thrown across the sky above the mudflats. Twisting light and dark, turning inside and out. All but one are up in the air. One remains hiding in the midst of the mussels. I think it must be sick or injured, it's the most reasonable explanation for its course of action. I hope it feels better soon. A thrown pebble bloops into a rockpool, the thrower giggles. The beach is busy with kids enjoying a break from the Christmas shopping. 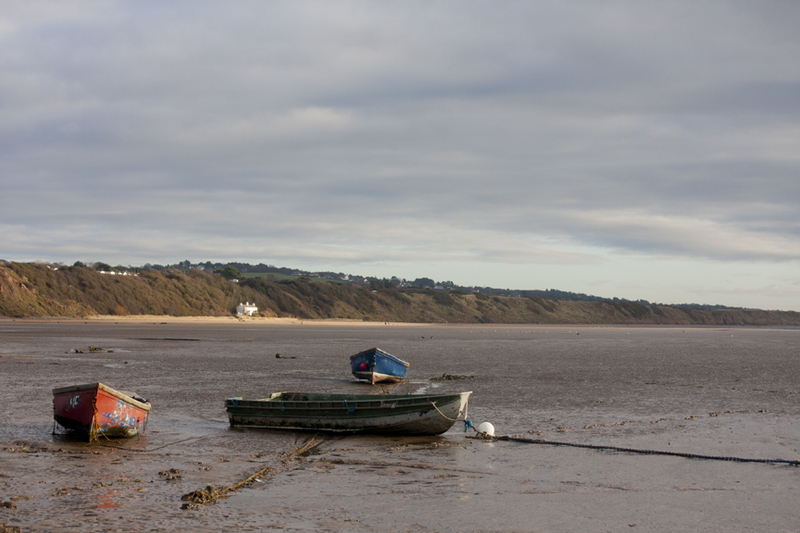 We head inland, over Dawpool nature reserve and pick up the Wirral Way. A stop at the picnic benches is in order. We rest, Johnny refuels with sandwiches. I look over the farmland. Pale green fields are delineated by bare hedgerows. The brown branches take on a purple cast in the sun. Yellow leaves glow in the sun. 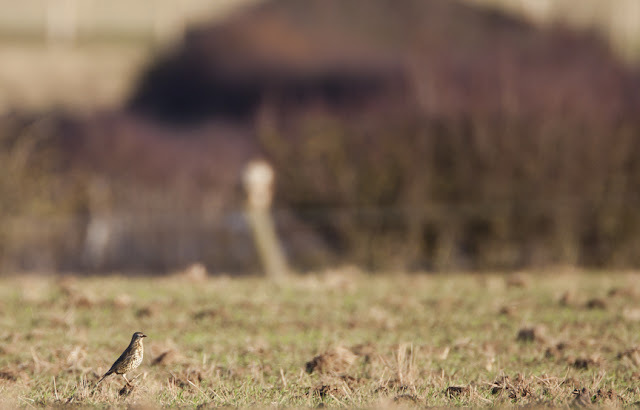 A Mistle Thrush hops from one clod of earth to another. An unseen Raven coughs somewhere close by. The Mistle Thrush sees off a Redwing that dares to invade its field. Something moves in the hedge I'm using as cover. 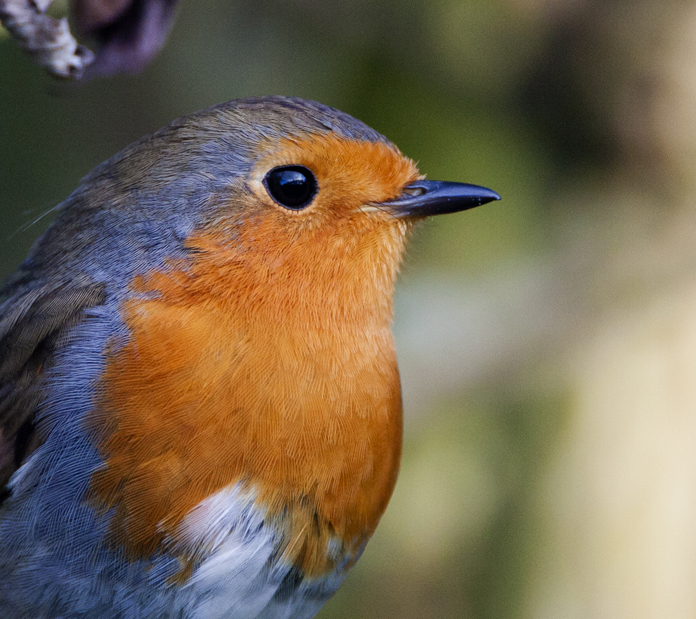 The most festive of birds, a Robin has it's eye on Johnnys butty. Always willing to help the local birds Johnny flings a few crumbs its way. We share a few great minutes with the Christmas bird. It sits on a branch a few feet from us and starts to quietly sing. Not a single phrase repeated over and over, but a variety of calls warbled continuously. It felt like it was contributing to our conversation, one of us. In its eye reflections of clouds, sky, mud and hedge - a distillation of the Patch. The sun starts to set. A warm handshake and seasons greetings are exchanged. We leave in opposite directions along the Wirral Way. I am feeling part of the Patch again, content. A pigeon flys overhead. My mobile phone runs out of power as I compose a reply to a text message. A golfer swings on the adjacent links. My hat is green. The Knot are spooked again. I'm back on the Patch.